Hi! 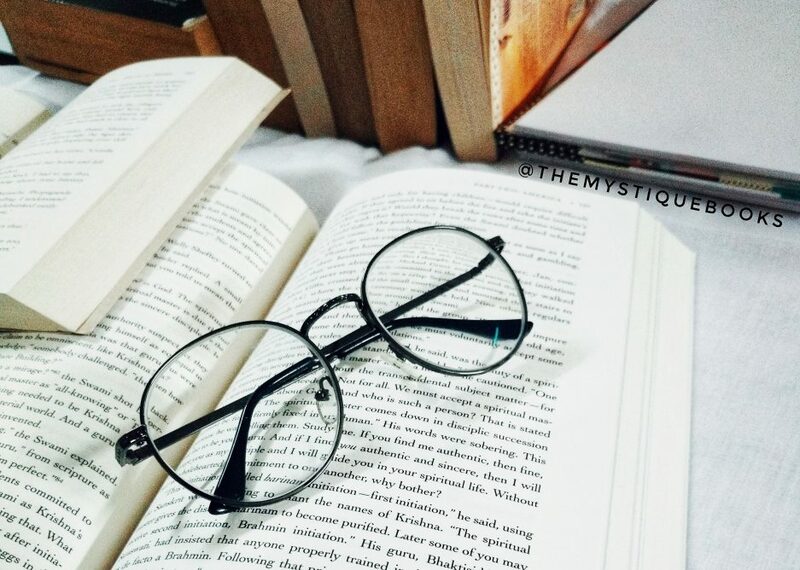 Welcome to The Mystique Books. I’m Harshita from New Delhi, India. I’m an ambivert, a bibliomaniac who never steps out without a book. As I have very few book lover companions, I had always felt the need to talk and share about my love for books with my like beings. And that’s when I thought of book blogging and ‘The Mystique Books’ turn up. It’s a place where I could befriend amazing book lovers and could talk about all the bookish things. And I’m always keen to know what my fellow readers are reading. I read almost all genres except poetry, horror, extreme erotica, extreme violence, and basic love stories. My favourite genres are mythology, thrillers & mystery, business thrillers, crime thrillers, women fiction, literary fiction, historical fiction, contemporary fiction, classics, fantasy. The growing numbers of the site motivate me to write more and post more. So, do join me here to keep me going. And don’t forget to leave your feedback. Your feedback means a lot. Started this blog on 10th October 2017. Thank you for the follow to rosepointpublishing! I’m looking forward to seeing you grow as a blogger and book reviewer. Yes!! I’m working on it !! I will try my best to grow this blog and will share candid reviews as a good reviewer!! Dear Harshita, your blog is wonderful. I will have a closer look at it. We have something in common: We both love books and are ambiverts. Thank you very much for looking at my blog. Hey Marta!! I loved your blog too!! Hello! Thanks for visiting and liking Rein in the Parade. An inspired week and greets from Berlin! Hi Luiza!! It’s good to connect with book lovers!! I’m always in look out for amazing bookworms out there!! Hi Harshita! Thanks for following my blog. Happy to come across another book-lover. Due to time constraints, I haven’t been devoting much time to books, lately. I hope I can resume that soon. Keep reviewing and sharing it with all of us! Hi Arv! I love following good people here in the community! Always looking out for good stuff! LINDA …HARSHITA GUPTA !Parabéns pelo blog!Um beijo! I am too! All those things you mention! Fun to find you here (thanks for finding me at Roughwighting). Hey! You’ve a great blog! Glad to know about you and your hobbies of reading and writing ! Hey Harshita…nice to know someone who prefers the world of books for I thought these people have vanished. There’s a difference between people who prefer books and people who prefer kindle !! Yeah! Many have switched to Kindle. I’m also having lots of books on kindle but they remain unread as I prefer physical copy. I love reading books – although they are a different genre than your favorites. I recently wrote a book based on a real-life story. It’s my first book and means a lot to me. Anyway, it’s great to connect with a book lover. Thanks for sharing. Hi! Congratulations on your book! Yeah! I too love connecting with book lovers! Hi! Thank you so much for your kind words! Being paid to read books!!! wow!!! We can do it for the fun alone. Just kidding, realise how tough a journey it has been or still is for you. Are you full time in to this? Just querying. Keep up the good work Harshita. I’m not being paid for it. I have included a link to your site in one of the blog posts <a href = https://samanyanblog.wordpress.com/2019/03/07/the-mystique-books/ Please do visit the post.